AHIMA no longer offers this certification exam. 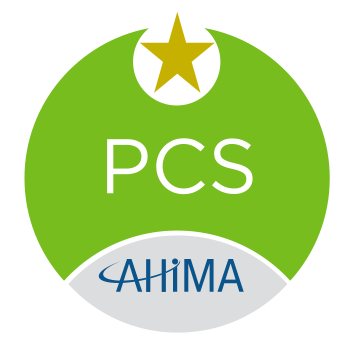 However, PCS® credential holders are able to maintain their credential through AHIMA/CCHIIM’s recertification process. The Physician Coding Specialist (PCS®) credential denotes advanced competency in diagnostic and procedural coding, reimbursement, and compliance in the physician office setting.